he EODSA has reduced the price of the Soccer Conference for 2016. It is now only $60 for 4 on field coaching sessions with lunch included. Now is the time to make sure your coaches get signed up for this development opportunity. If your Club wants to purchase tickets for your coaches, please let us know and we will provide you a code for direct Club billing. Your coaches can also just sign up through the link and you can reimburse them later. 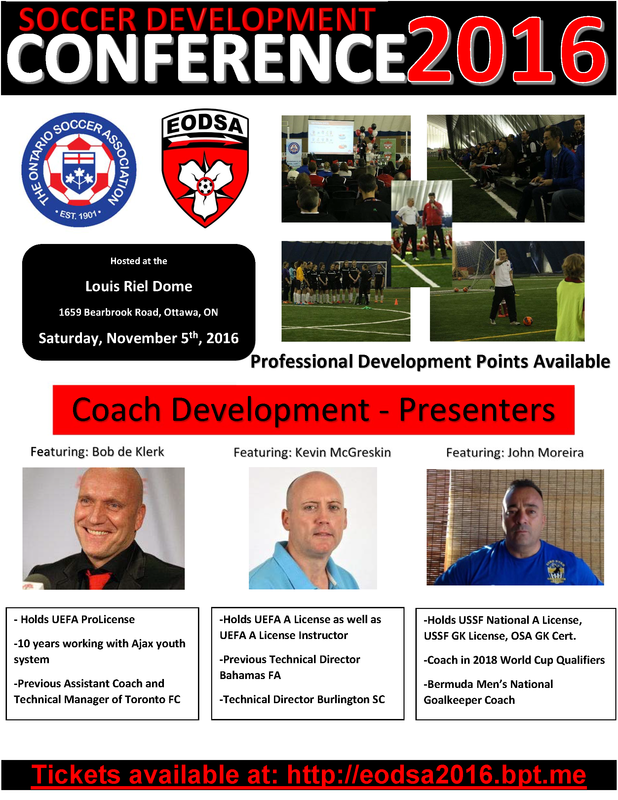 For Referee Tickets, Club Head Referees are working with EODSA District Referee Coordinator, Dave Smith, to finalize the Referee registrations. The Conference will be from 9:30am to 4pm with Lunch included. Please pass along info about the Conference to your coaches and referees.